With the days getting shorter, have you started to notice changes to your vision while driving at night? If so, this could be an early warning sign of cataracts. As you age, proteins begin to build up and clump together in the eye’s lens, preventing light from passing clearly through the lens and obscuring vision. These protein deposits are known as cataracts and are a normal part of the aging process. Currently, more than 22 million Americans age 40 and older, and half of all Americans over the age of 80 are affected by cataracts, according to the National Eye Institute (NEI). A cataract is clouding of the eye’s natural lens, which lies behind the iris and the pupil. Board certified ophthalmologist Samuel Boles, M.D. likes to compare cataracts to the clear plastic window on a convertible car. “Just like the little plastic window in the back of a convertible, the natural lens inside the eye can become cloudy after many years of natural exposure to the sun and through the normal aging process,” said Dr. Boles. Subcapsular Cataract: Beginning in the back of the lens, subcapsular cataracts are most common among those with diabetes, high farsightedness, retinitis pigmentosa, or those taking high doses of steroids. Nuclear Cataract: The most common form of cataracts, nuclear cataracts forms in the nucleus, the center of the lens, as a result of natural aging. Cortical Cataract: Forming in the lens cortex and gradually extending its spokes from the outside in, cortical cataracts are most common in people with diabetes. Cataracts are usually caused by age, when the protein in the lens may start to clump together and cloud a small area of the lens. No one knows for sure why this occurs, however, several studies claim that exposure to ultraviolet light could be to blame. Simply put, yes. Nearly 50% of all adults will develop cataracts by the time they turn 65 years old. What are the Signs and Symptoms of Cataracts? If you feel as if you may be suffering from one or more of these symptoms, you should schedule an eye exam at your earliest convenience. Early detection is the key to slowing or even stopping the spread of cataracts. If cataract symptoms persist and become bothersome, surgery may be your best option. Cataract surgery is a quick outpatient procedure, taking just about 10 minutes (not including pre and post-op preparation). Cataract surgery involves removing the damaged lens and replacing it with a new synthetic one. Best of all, cataract surgery has the highest success rate of any surgery practiced today. And recovery is a breeze. Most patients can resume their normal, everyday function in very little time and can even drive a few days after surgery. Where can I have my Cataracts treated in Maryland? 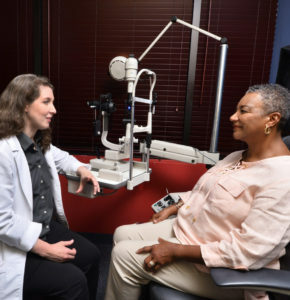 Specializing in the diagnosis and treatment of glaucoma and cataracts, the Anne Arundel Eye Center offers complete ophthalmic exams as well as diagnostic pre and post-surgical eye care. Whether you’re experiencing symptoms or seeking surgical treatment, our state-of-the-art treatment center can meet all your eye care needs. To learn more about Cataracts, please contact board certified ophthalmologist Dr. Samuel Boles, consultative optometrists Dr. Nathan Frank and Dr. Corinne Casey, and the eye care specialists at Anne Arundel Eye Center by calling 410-224-2010 or click here to visit AnneArundelEyeCenter.com. Staffed by caring and knowledgeable professionals, our state-of-the-art treatment center is dedicated to making the best eye care accessible to everyone. You can also follow Anne Arundel Eye Center on Facebook, Twitter, Google+, and YouTube as well! Anderson Cooper, Eye Protection, Sunburn on the Eyeballs, & Photokeratits! A survey by the American Optometric Association recently discovered that 35% of Americans are unaware of the risks that ultraviolet light poses to the eye. Are you one of them? If so, you are not alone. Popular journalist and television personality Anderson Cooper had no idea about the risks of UV rays until recently. Last week, Cooper learned about those risks the hard way. While reporting on a trip for CBS’ 60 Minutes, Cooper spent one fateful afternoon on a boat in the waters on Portugal. And not thinking anything of it, the reporter did so not wearing any eye protection. So what happened to Cooper? Sunburn of the Eyes! You see, while the sun may not have been particularly bright that day, what caused Cooper’s condition was the ultraviolet light reflecting off the surface of the water. Protection is simple and easy. The American Optometric Association recommends sunglasses and a wide-brimmed hat. And just in case you thought you were safe because it is winter, the same thing can happen from UV rays bouncing off snow. This is often referred to as snow blindness. So please be careful and cautious! If not too serious, sunburned eyes can easily be treated at home with rest and lubricating eye drops. And, of course, you should stay out of the sun. However, if the pain is too severe, if you experience temporary vision loss, or if the symptoms worsen, you should schedule an appointment with your eye doctor – ophthalmologist or optometrist – as soon as possible. To learn more about Sunburned Eyes and other common eye conditions, please contact board certified ophthalmologist Dr. Samuel Boles, consultative optometrists Dr. Nathan Frank and Dr. Corinne Casey, and the eye care specialists at Anne Arundel Eye Center by calling 410-224-2010 or click here to visit AnneArundelEyeCenter.com. Staffed by caring and knowledgeable professionals, our state-of-the-art treatment center is dedicated to making the best eye care accessible to everyone. Each and every glaucoma patient has the same question: “Will I go Blind?” And fortunately, the answer for most patients is no. While total blindness is always a possibility with glaucoma, it is fairly rare, with just 120,000 cases of blindness in the United States compared to 2.3 million cases of glaucoma. This represents just 5% of all glaucoma patients in the U.S. Vision loss, on the other hand, is much more likely. 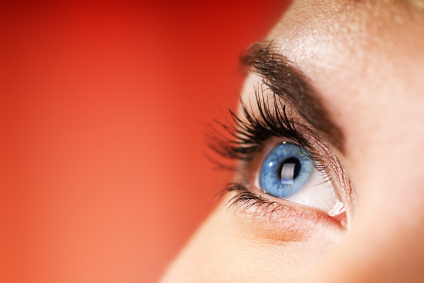 Even with the best treatment, some degree of vision loss can still occur. 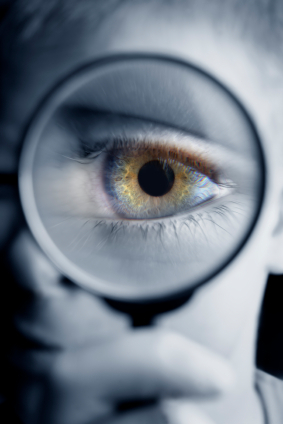 The key to successful treatment and minimal vision loss is early detection. And because glaucoma presents no detectable symptoms in its earliest stages, the only way to catch the eye disease early is with regular visits with your eye doctor – ophthalmologist or optometrist. Non-Contact Tonometry (NCT): You may know this test as the “puff of air” test. This is used to calculate Intraocular Pressure (IOP) based on your eye’s resistance to the air. Normal intraocular pressure (IOP) ranges between 12 and 22 mmHg (millimeters of mercury, a measurement of pressure). If you have high eye pressure, you may be at risk for or have glaucoma. Visual Field Test: This diagnostic test checks a patient’s side or peripheral vision for blind spots, known as scotomas, which can originate as a result of glaucoma. Cupping: Your eye doctor will look for damage to your optic nerve, known as “cupping,” which can occur with or without high intraocular pressure. Pupil Dilation: Your doctor may use dilating drops to enlarge the pupil. And once the drops have taken effect, your eye doctor will use various instruments to look inside your eye. Located in Annapolis, Maryland, Dr. Samuel Boles and the eye care experts at the Anne Arundel Eye Center specialize in the diagnosis and treatment of glaucoma. In fact, Dr. Boles has helped preserve thousands of patients’ vision. He is also passionate about educating patients and their families regarding prevention and treatment. “I treat my patients the way I want to be treated when I see a doctor,” said Dr. Boles. To learn more about Glaucoma, please contact board certified ophthalmologist Dr. Samuel Boles, consultative optometrists Dr. Nathan Frank and Dr. Corinne Casey, and the eye care specialists at Anne Arundel Eye Center by calling 410-224-2010 or click here to visit AnneArundelEyeCenter.com. Staffed by caring and knowledgeable professionals, our state-of-the-art treatment center is dedicated to making the best eye care accessible to everyone. Filed Under: Eye Care, Eye Disease, Glaucoma, Maryland Eye Care, Symptoms Tagged With: Annapolis eye doctor, Annapolis Glaucoma Specialists, diagnosing glaucoma, does Glaucoma cause blindness? Similar to farsightedness, Presbyopia results in a person’s inability to focus to see objects that are near. However, that is where the similarities end. While farsightedness occurs as a result of the shape of the eyeball, which causes the light entering the eye to focus incorrectly, Presbyopia is the blurring of one’s vision as the result of the normal aging of the eye’s lens. As the eye ages, its lens begins to lose its flexibility and the ability to focus to see objects that are near. 1. The inability to read materials at normal distance. Because of this, those suffering from Presbyopia can often be seen holding reading materials at arm’s length in order to see them more clearly. 2. Those with Presbyopia are also likely to suffer from headaches or fatigue as the result of doing close work. If you are experiencing the above symptoms, schedule an appointment with your eye doctor – Ophthalmologist or Optometrist – at your earliest convenience. He or she will inspect your eyes for common eye diseases and other problems affecting your vision, such as Presbyopia. While there is no cure for Presbyopia, the effects of the eye disease are easily manageable using prescription glasses, contact lenses, reading glasses, progressive addition lenses, or bifocals. And now, there is even a surgical procedure, called keratoplasty, to treat Presbyopia. This FDA approved surgery, utilizes radio waves to reshape the cornea and thus improve vision. Talk to your eye doctor to find out which treatment method is right for you. To learn more about Presbyopia, please contact board certified ophthalmologist Dr. Samuel Boles, consultative optometrists Dr. Nathan Frank and Dr. Corinne Casey, and the eye care specialists at Anne Arundel Eye Center by calling 410-224-2010 or click here to visit AnneArundelEyeCenter.com. Staffed by caring and knowledgeable professionals, our state-of-the-art treatment center is dedicated to making the best eye care accessible to everyone.